Following a successful show in Dubai earlier this year Delta Fire Confirms Intersec Dubai 2019 – the Delta Team our pleased to announce that they will be returning to Dubai’s World Trade Centre in January next year for Intersec 2019. 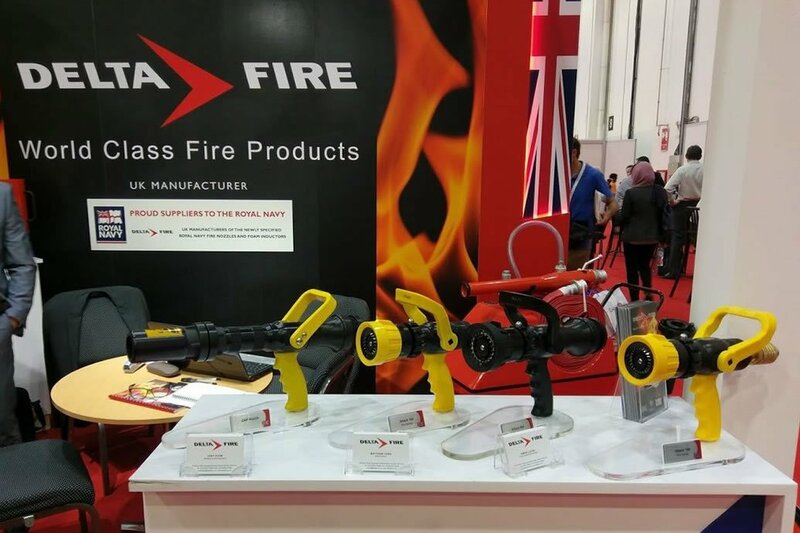 Attracting multiple fire sector industries from around the world Intersec provides the perfect platform for Delta to exhibit their growing range of professional front-line fire fighting equipment to a truly diverse audience. On exhibit for the first time at an International event will be Delta’s latest additions to the highly acclaimed Attack Pro-Series range of handheld fire nozzles including the new Attack 750 Pro and 1000 Pro high-flow models plus the Attack 750 Pro HR – a nozzle designed specifically to meet the demands of high-rise fire fighting where low pressures on upper floors are a common challenge to first attending fire crews. Also new to the range is the Attack Pro Foam Nozzle and Attack Pro Powder Nozzle, both models designed specifically for each medium providing exceptional performance and value for money. Delta’s complete range of foam equipment will also be on display ranging from low and medium expansion foam branchpipes, variable and fixed in-line foam inductors, high expansion foam generators, Prima foam units and the ever-popular DF130 mobile foam unit.